Top community discussions about Scaletron! Is there a better alternative to Scaletron!? 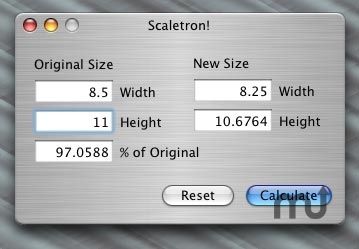 Is Scaletron! really the best app in Author Tools category? Will Scaletron! work good on macOS 10.13.4? Scaletron! is a scaling calculator, an electronic version of the old graphic arts proportion wheel, used for calculating enlargements and reductions. 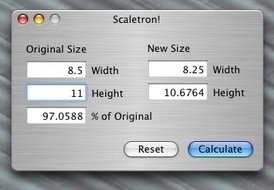 In addition to calculating width and height, version 3 of Scaletron! can calculate the effective resolution of scaled images or artwork. Perfect for graphic artists, digital photographers, Web designers, scanner operators and prepress technicians. Scaletron! needs a rating. Be the first to rate this app and get the discussion started! See more reviews for Scaletron!